A ladder diagram is an electrical schematic drawn according to a convention that has the two ladder "rails" being power supply lines and the "rungs" of the ladder between circuitry that passes between the two lines. The left line is normally hot and the right line is ground. The practice is used extensively for machine control systems and is useful because for troubleshooting one simply checks out each "rung" until the problem is found. 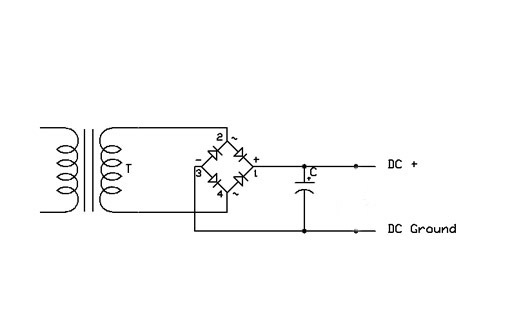 A circuit drawn in this way is sometimes referred to as "Ladder Logic" or "Relay Logic". Some great examples of ladder diagrams and more detail may be found on the Seattle Robotics site. Lapping is a process of rubbing two mating surfaces together with an abrasive grit in between to ensure they fit smoothly and closely together. Lapping does not necessarily ensure flatness, in fact it may achieve just the opposite effect unless carefully applied. Laser interferometry is a very high precision method of measurement that is commonly used to align commercial CNC tools. The axial distane the nut advances in one revolution of the leadscrew. The lead is equal to the pitch times the number of screw starts. See Also Screw Starts. The faithfullness of actual distance travelled versus what it theoretically should be given the number of turns made. All leadscrews have some inaccuracy. 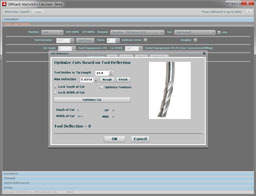 Leadscrew mapping is a generic software technique used to compensate for it assuming there is an accurate map of the errors. The terms "lead-in" and "lead-out" (also leadin and leadout or lead in and lead out) refer to how a CNC program approaches and leaves the part before cutting. Typically, these are parameters used by CAM software (See also CAM) to automatically generate the part program needed to machine a part. A generic device for translating rotary to linear motion. There are many different kinds of leadscrews including ACME and ballscrews (See Also ACME and Ballscrew). A sensor used to detect the end of travel for an axis. Limit switches may also function as Home Switches. They are typically mechanical switches (such as microswitches), Hall Effect devices, or optical devices. In order to reduce the number of inputs a CNC controller must handle, limit switches may be ANDed or ORed together. For example, normally closed limit switches would be ANDed together by wiring them in series so that if any of them is tripped, the whole circuit is tripped. If the switches are normally open, they may be ORed together, by wiring them in parallel, so that if any are closed, the whole circuit is tripped. It is up to the CNC controller to determine by context (i.e. which axis it was trying to move when the limit was tripped) which limit was actually tripped when they’re all ganged together like this. Motion in a straight line and all those components and technologies associated with that motion. A Linear Power Supply converts AC current to DC current that has been smoothed, but that may not be regulated to a precisely controlled voltaged (See Also Regulated Power Supply). Linear Power Supplies are simple and are typically used to power driver motors such as servos and stepper motors. A linear scale is an electronic device used to measure a position along a line. Linear scales are commonly used in DRO’s (See Also DRO) and sometimes to provide feedback information in sophisticated closed loop systems (See Also Closed Loop). Linear slides are components that may be used to create Linear Ways (See Also Linear Ways). They consist of a rail and a truck that rides on the rail using ball bearings between the two to create minimum friction and maximum accuracy. Powered tooling, such as a drill, that may be held in the turret of a lathe. Load meters are common on CNC machines. They give the operator one way to gauge how hard the machine is working, which is something that's harder to do on CNC where there is no manual "touch". Usually load meters are just ammeters that measure the amount of current the spindle motor is drawing. Some machines also offer load meters on the individual axes, for example to measure how hard it is to feed. Load meters have a lot of interesting uses. For example, during roughing, the load meter can be used to tell when feeds and speeds and DOC are aggressive enough to be near the machine's capacity. Another use is to observe the load meter while drilling a hole. If the load increases the deeper into the hole the machine gets, it is an indication that chips are not being evacuated well enough. It may be time to fool with the coolant delivery or look at other steps to improve chip evacuation. Lookahead is a software feature whereby the CNC control program looks at future G-Codes it will need to execute in an effort to plan better what it should be doing. If the G-Codes ahead call for sudden slowdown or acceleration, the system may want to begin that change earlier for better performance. Lost steps are a problem that can occur when using open loop stepper systems. Because the system is open loop, there is no feedback to tell the controller whether the axis actually reached the position it had been commanded. If there is a problem of some kind, ranging from a machine crash to just simply not enough power to get to the destination as quickly as commanded, the machine will go on thinking it is in a different position than it really is. The result is a bad part or a worse crash. There are a couple of things that can be done to reduce or eliminate the likelihood of lost steps. First, the machine and program can be designed or operated very conservatively. Use slower cutting and travel speeds. Install larger step motors that are capable of higher performance. Second, a closed loop system can be employed to provide feedback to the controller on whether the axis moved as it was commanded to. This involves either replacing the step motors with servo motors equipped with encoders, or adding encoders to a step motor-based system, which in the end makes it a servo system by definition anyway. To get some idea of the impact of lost steps on machine accuracy, you may want to visit my Stepper/Servo/Backlash Simulator Page. Mach 3 is a very popular CNC Controller that runs on a PC under Windows and is sold by Artsoft. The absolute coordinates or position of the axes. Machine coordinates are always 0 or positive. Movement along an axis in the farthest possible positive direction. It is synonymous with the Home Position of the machine. Many machines will have Home Switches at this location so that the axes can be commanded to move until the Home Switches are triggered, telling the machine it is exactly at Machine Zero. See Also Home Switches. Other common names for Machine Zero are Machine Reference and Reference Point. A CNC tool that can perform multiple operations in the same setup with automatic tool change. MPG’s are devices that are used to simulate the handwheels used on manual machines. They usually consist of a dial connected to an encoder with a suitable mechanism to provide detents so there is tactile feedback to the operator when the MPG is turned. The M-Codes are words defining miscellaneous operations in the G-Code language. For example, they command tool changes, turn on or turn off the coolant or spindle, etc. M-Codes are usually fairly specific to the controller, and are not well standardized. Some controller programs, such as Mach 3, will even let you define your own m-codes for special purposes and then reuse them. Manual entry and execution of G-Codes from the keyboard. A technique used to increase a stepper motors smoothness and position it to finer degrees by using varying amounts of current in adjacent windings to create more steps than the motor would normally have. In essence, the motor is delicately balanced between steps. 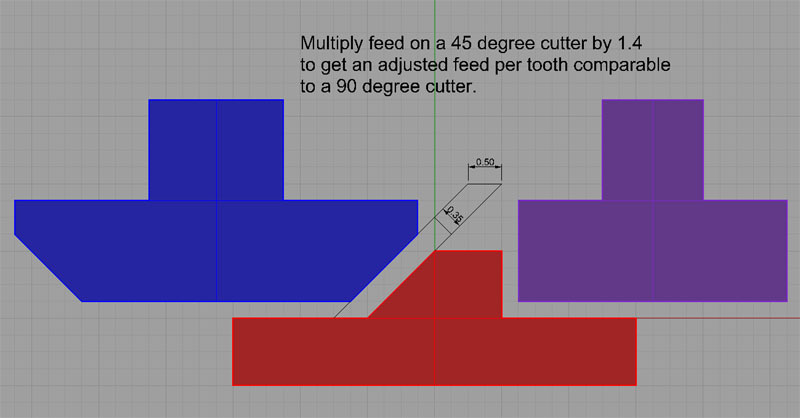 Microsteps can be down to 1/32 of a step or even much less. It is also useful in controlling stepper motor resonance. Microstepping is a function of the stepper motor driver, rather than the motor itself. Gecko drivers, for example, offer microstepping. It is important to remember that the holding torque of a microstep is much less than that of a full step, so you can only microstep if you are using a fraction of the motor’s capacity. For example, with 16 microsteps, there is less than 10% of the holding torque at a microstep that there would be on a full step. The value of microstepping also falls off rapidly as the motor’s speed increases. For this reason, it is usually not wise to assume that the resolution of a system is equivalent to the full resolution of a microstep. Microswitches are simple electrical switches that make contact with very little travel, making them useful as home and limit switches. See also Home Switch and Limit Switch. Mist cooling employs droplets suspended in a compressed airstream as coolant (See Also Coolant). They are a good alternative when flood cooling is impossible. In G-Code programming, a mode is a programmed function that stays in effect until it is cancelled or substituted by another function. The ModIO is a ModBus device made by Hohman Designs. It provides Mach3 and other programs with a lot more inputs and outputs using a USB port. An epoxy resin with embedded PTFE (See Also PTFE and Acetal) that is used to refurbish or line machine ways. See www.moglice.com. Motion control is the science and technology of controlling motion. The components used to convert a manual machine to a CNC machine are all motion control components.